Sembcorp Industries completes c.S$385m all-cash acquisition of UK Power Reserve (UKPR), the UK’s largest flexible energy generator. UKPR has 533MW capacity in operation and 480MW under development, with target completion by 1Q19. Valuations of 8.2x EV/EBITDA and 14.4x trailing P/E for UKPR seem reasonable given visible growth in the pipeline. Acquisition to boost Sembcorp Industries earnings by 3% in FY18 and 8% in FY19 on our estimates. Sembcorp Industries has reached agreement to acquire UK Power Reserve (UKPR) - the UK’s largest flexible distributed energy generator - for a consideration of GBP216m (approx. S$385m). The sellers are private equity investors Inflexion and Equistone (each holding 42.5% stake) and UKPR’s management (with a 15% stake). The acquisition strengthens Sembcorp Industries’ presence in the UK utilities space and is in line with the group’s revamped policy to rebalance its energy portfolio towards developed markets. We estimate UKPR’s pro- forma EBITDA for FY18 (March YE) would be around GBP45m (assuming assets were running for the full year), and implies an Enterprise Value of around GBP337m, which translates to an EV/EBITDA multiple of about 8.2x – reasonable in our view given the growth prospects of the company, and in line with the regional peer median. In terms of P/E, we use S$26.7m as the adjusted trailing net profit (based on a reported c.S$10.6m and adding back transaction costs and exceptional items) which translates to 14.4x trailing P/E multiple. This is slightly lower than Sembcorp Industries’ own FY17 PE multiple of around 14.9x, and given the growth prospects at UKPR (480MW in the pipeline vs. 533MW current capacity = ~90% growth), the deal is definitely earnings accretive to Sembcorp Industries. P/NTA multiple of 3.1x does not look cheap in isolation but compares well with normalised trailing ROE of more than 30%. This acquisition is an all-cash deal. Sembcorp Industries is paying GBP216m (c.S$385m) for 100% of UKPR’s holding company Repono Holdco 1, which will be funded by a mix of internal cash resources and external borrowings at the SCI level. This will result in a slight increase in FY18’s net gearing to about 0.82x from 0.77x previously. 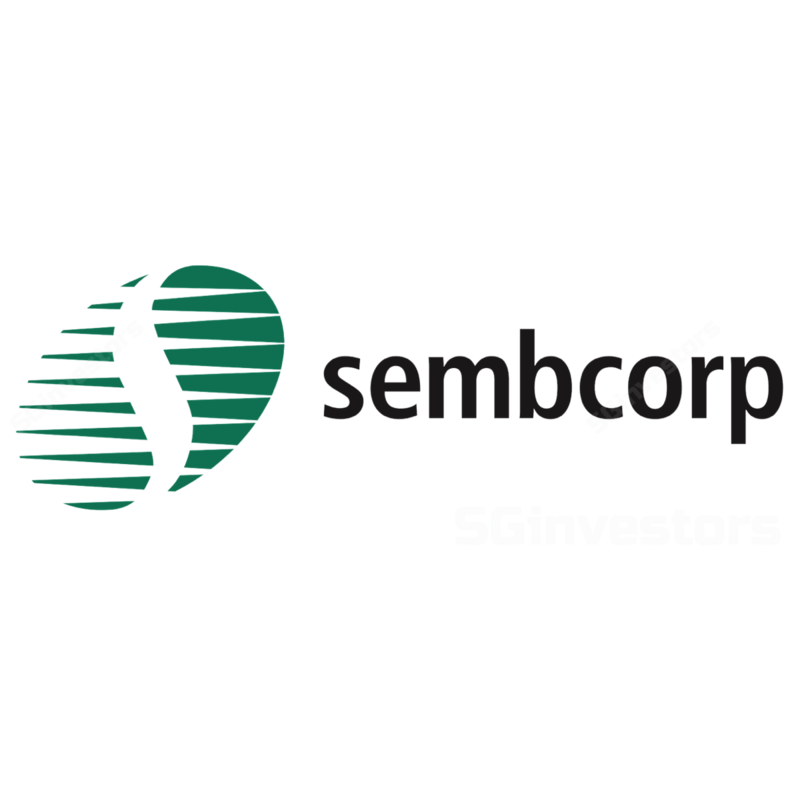 The consideration amounts to roughly 7% of Sembcorp Industries’ current market cap, and does not require shareholder approval. 480MW is currently under construction or development, which will come online in phases; all are expected to be running by the end of 1Q-2019. Balances the intermittent nature of increasing renewables capacity. UKPR’s generation assets are connected at the distribution level close to the customer load, and require less investment in large power infrastructure, and are thus more economical to develop and operate. Specifically, these are modular peak load power assets to help counter the intermittency of renewable power generation, as well as the closure of ageing thermal plants. As such, these assets are seen as supporting the shift towards greener energy in the UK, by providing stability to the grid. Remaining asset life is not a concern. We believe asset life is not a big issue for UKPR as the average asset life has about 50,000 – 60,000 hours of operations, while assets are currently running at about 1,000 hours per year. There is scope for utilisation to increase to about 2,000-2,500 hours per year, which would translate to an asset life of between 20 – 30 years. Meanwhile, around 65% or 348MW of the currently operational 533MW portfolio are pretty much brand new assets (less than one-year old), while the remainder legacy assets were built in the 2002-2004 period but have not been heavily utilized. Management indicated about 15% of revenue in future will be derived from long-term contracts backed by the government in the capacity market; another 30% of revenue is from revenues made during winter peak demand season (which is largely predictable); and the remainder is a mix of spot contracts in the merchant market and some short-term contracts in other ancillary markets. Thus, the concept of PPAs is not so relevant here. Mainly operating on spot natural gas. Of the entire power generation asset portfolio (excluding 120MW in battery assets), about 60MW (c.7%) is on standby and running on diesel, with the remainder operating on natural gas. We understand that changes in natural gas prices are generally passed through to energy prices, and as a result UKPR does not need to hedge its natural gas prices. Long-term gas contracts are also not ideal given the on-demand nature of the UKPR assets. On top of the 480MW currently under construction, UKPR will be looking to secure more capacity in the UK Capacity Market auctions, as demand for flexible capacity is likely to sustain to provide grid security amidst a shift towards greater reliance on renewables. It secured 348MW in 2014, 160MW in 2015, 120MW in 2016 and 200MW in the most recent 2018 auctions, of which all 348MW of its 2014 Capacity Market commitments have been brought online well ahead of schedule. Capex for the 480MW of assets under construction is likely to be in the range of GBP200-250m (c.S$360- 450m), which will be incurred over 2018/19. We understand that roughly 25% of the capex is likely to be internally funded while the rest by debt. We do not expect this to have a significant impact to Sembcorp Industries’ gearing levels. While the acquisition will be initially NTA dilutive (as P/NTA of 3.1x implied by the acquisition price is higher than Sembcorp Industries’ own multiple of less than 1x), it will be earnings accretive to Sembcorp Industries immediately in FY18, after adjusting for transaction funding expenses. On a conservative basis, we are looking for around 6-month contribution in FY18 to add around S$10m in net profits (3% accretion) and around S$30m+ in full-year net profits in FY19 (8% accretion) but there are upside risks to these estimates in our opinion. We are thus raising our earnings forecasts for FY18/19 by 3% and 8% respectively for now, and our Target Price for Sembcorp Industries is revised upwards to S$4.50. We maintain our BUY call on the stock, given its unique value proposition as a proxy to ride the cyclical O&M upturn, supported by a defensive utilities business, which we believe is undervalued and deserves a re-rating. Sembcorp Industries’ India operations are also seeing signs of recovery and a potential IPO there should unlock value.